Home › Int'l Reactions › On the lawyers day; CCBE denounced the ongoing crackdown on the rule of law in Turkey. 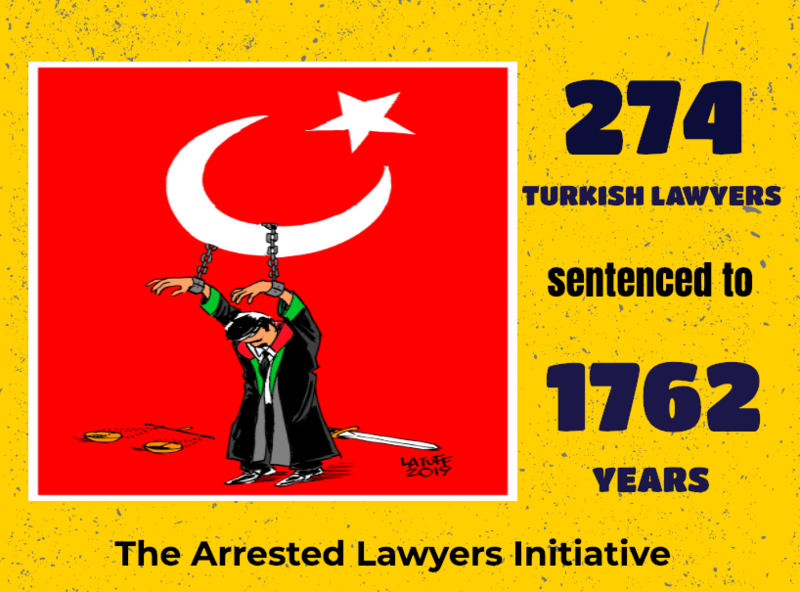 On the lawyers day; CCBE denounced the ongoing crackdown on the rule of law in Turkey. The Council of Bars and Law Societies of Europe (CCBE), denounced ongoing crackdown against Turkish lawyers on 5th April 2017 that is Lawyers’ Day in Turkey. In a joint statement; the ongoing crackdown on the rule of law in Turkey was denounced by European Federation of Journalists @EFJEUROPE, European Association of Judges, @EAJ_AEM_ERV and @CCBEinfo. The CCBE also wrote a letter date 6th of April 2016 to President Erdogan to deliver their concern regarding arrested or detained lawyers in Bursa, Maras, Istanbul and others. The CCBE also wrote a letter to the Turkish government dated 6th April 2017 to deliver its concern regarding arbitrary arrests of Turkish lawyers. The Council of Bars and Law Societies of Europe (CCBE) – @CCBEinfo, Italian National Bar Association – @CNF_it, German Federal Bar Association – @Anwaltverein, The International Observatory for Lawyers in Danger (OIAD) – @CNBarreaux , Belgium Flemish Bar Association – @VlaamseBalies, Belgium French and German Speaking Lawyers Association – @oBarreaux, The Bar of Ireland – @TheBarofIreland, The Bar of N.Ireland, The Law Society of N.Ireland, The Law Society of England and Wales – @TheLawSociety, Law Society of Scotland –@Lawscot, Law Society of Ireland – @LawSocIreland, The Bar Council – @thebarcouncil, Faculty of Advocates, American Bar Association –@ABAesq denounced the ongoing crackdown against Turkish Lawyers.